In tourist-packed cities like Florence, Rome and Venice, it’s not always easy to find the authentic eateries. Often, busy visiting as many landmarks as we can, we don’t really have the time to look for the places where locals go. Here we compiled a list of what we think are the best restaurants in Florence for first-time visitors. Just because it’s your first trip to Florence and just because you are a tourist, it doesn’t mean you have to compromise on taste and quality. We ended up in a low-quality restaurant ourselves once, this is why we decided to write a guide to the eateries we really enjoyed and recommend in Florence city centre or not too far. This is the place to go for the authentic local cuisine in Florence. Plus, it’s in the very city centre right next to Basilica San Lorenzo. 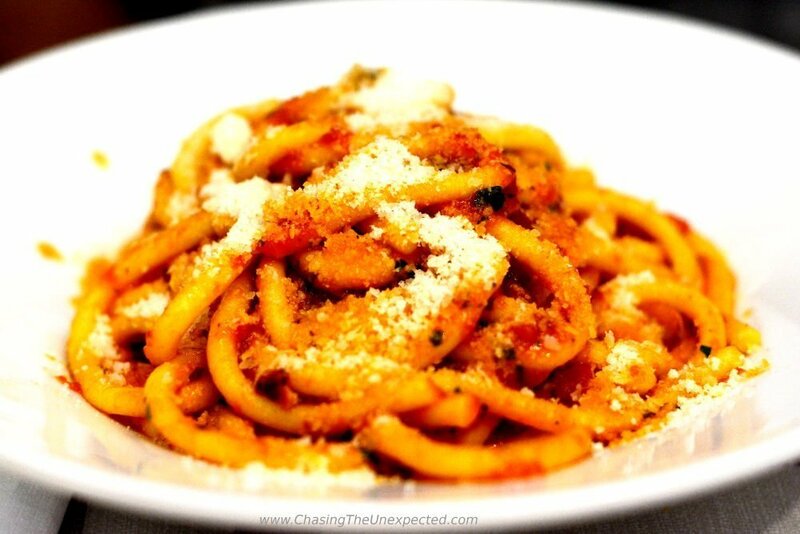 Perfect if you are wondering where to eat in Florence for lunch while sightseeing. A fantastic place to start sampling the traditional delicacies. One of the most famous dishes in Florence is the bistecca alla Fiorentina (T-bone Florentine steak), a big steak (from 1 to 1.2 kg) strictly from a Tuscan breed of cattle, the Chianina. And Trattoria Gozzi is known for one of the best. Prices for the Fiorentina steak are anywhere from 40-80 € per kg, and at Trattoria Gozzi is 40 €. Apart from this, here you will find also other dishes from the tradition, such as the famous pici thick spaghetti, lampredotto with potatoes, and the ribollita soup. Open: Only lunch Monday-Saturday 12-3.45 pm. Closed on Sunday. Note: Walk in and reserve a place, otherwise, you may not be able to grab a table and have to queue. The Fiorentina steak is cooked rare, if you wish medium/well-done, you can ask them to place it a couple more minutes on the BBQ. Google map address: Piazza di San Lorenzo 8R, 50123 Firenze. If you are in Florence for the first time, try at least once the food at the Mercato Centrale (Central Market). Not only it’s one of the places visit, but you can find truly delicious food from different Italian regions. From pizza to cannoli and arancini, vegetarian and vegan options, a huge variety of pasta dishes and obviously the Fiorentina steak. It’s always pretty packed, so if you are tired why not take your favorite dishes or fresh produce and enjoy it at your hotel? The ground floor of the Mercato offers all sorts of fresh fruits and veggies while the two upper floors are crammed with restaurants, cafes and pastry shops. Open: 365 days a year, 8 am-0.01 am. Google map address: Piazza del Mercato Centrale, Via dell’Ariento, 50123 Firenze. This is a famous restaurant in Santo Spirito neighbourhood, very close to Palazzo Pitti and Boboli Gardens. Their menu includes a large selection of starters and specialities like the Florentine steak, the ribollita veggie soup, dumplings with butter and sage, and salted cod Livorno-style. Among the first courses you will have also pappardelle pasta on a wild boar sauce and dumplings on a tomato sauce. The big choice of second courses includes all types of meat cooked in the most different ways, grilled, stewed, roasted, with herbs. The menu includes also salads, side dishes, a selection of cheese and desserts. Open: Monday-Saturday 12-2.30 pm and 7-10 pm. Sunday closed. Google map address: Via Dei Michelozzi 9/R, 50125 Firenze. This was a very pleasant discovery in the Florence city centre. 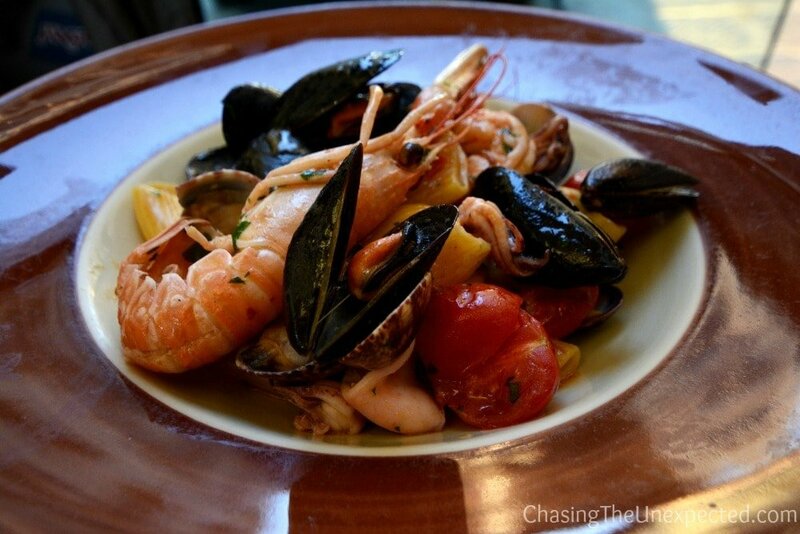 Located close to Santa Maria del Fiore cathedral, their menu is pretty wide and diverse. You will find many dishes from the local tradition such as the Ribollita and several others like the famous “pappa al pomodoro” tomato soup. I had the spelt soup with veggies and it was absolutely delicious, a warm treat in a freezing night. Among their other dishes are the unmissable Florentine steak, pasta dishes with veggies or meat sauce, lasagna, salads, side dishes as well as main course such as chicken, sausages, cross-cut veal shank, or fish. 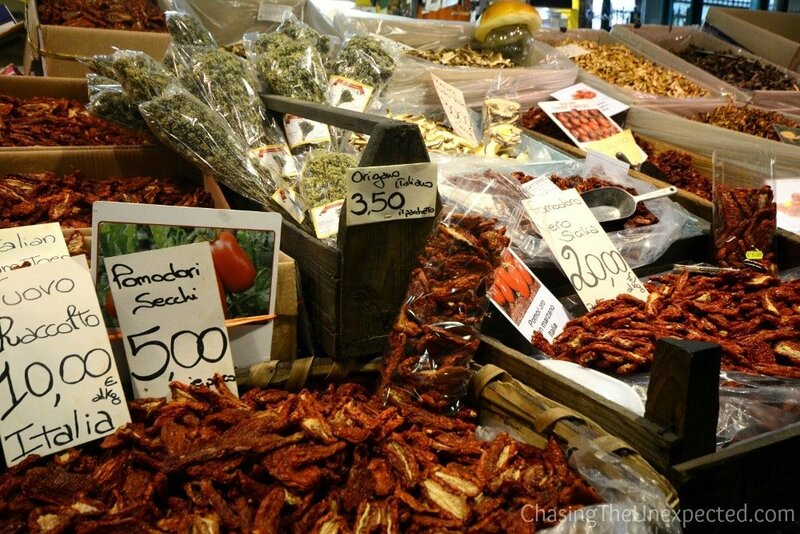 Prices are very affordable, with pasta dishes around 5-7 euro, fish around 10 euro and meat courses from 8 to 15 euro. Google map address: Via Faenza 31, 50123, Firenze. If you feel like having pizza, head slightly away from the very city centre and grab a table at the excellent Giotto Pizzeria Bistrot. 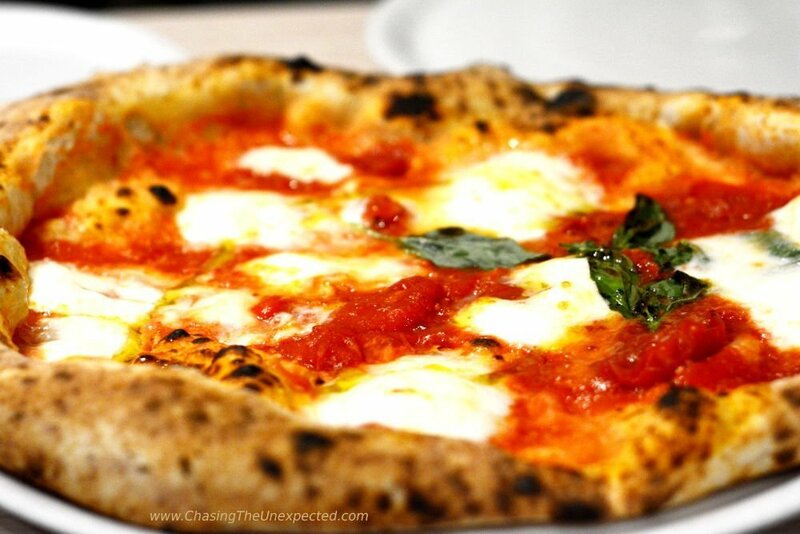 This is arguably the best pizza in Florence Naples-style. One of their creations, “Est e Ovest” was even awarded 1 Michelin star. It’s well-known and always very crowded with locals. So if you are going during the weekend booking is highly recommended. They have a large selection of pizza for every palate, one with the dough made with turmeric, and toppings are always high-quality and many seasonal and local. Prices are average so you won’t break your bank. Open: Wednesday-Friday and Monday only dinner from 19:00-21:00. Saturday-Sunday lunch from 12:00-14:00, dinner from 19:00-21:00. Closed on Tuesday. Note: Strongly recommended to reserve a place or you might need to queue for a bit. Google map address: Via Francesco Veracini 22/d, 50144 Firenze. To get there take the bus 17 and get off at the station Toselli Veracini (Stop ID: 2916), then walk back few meters and turn left on Via Francesco Veracini, walk 100 meters and you will see the restaurant. Phone: +39 055 332332; website: http://www.pizzeriagiotto.it/. Traditional food and traditional ambiance. At Tito’s you will have a delicious meal in a simple decor and a yesteryear atmosphere. 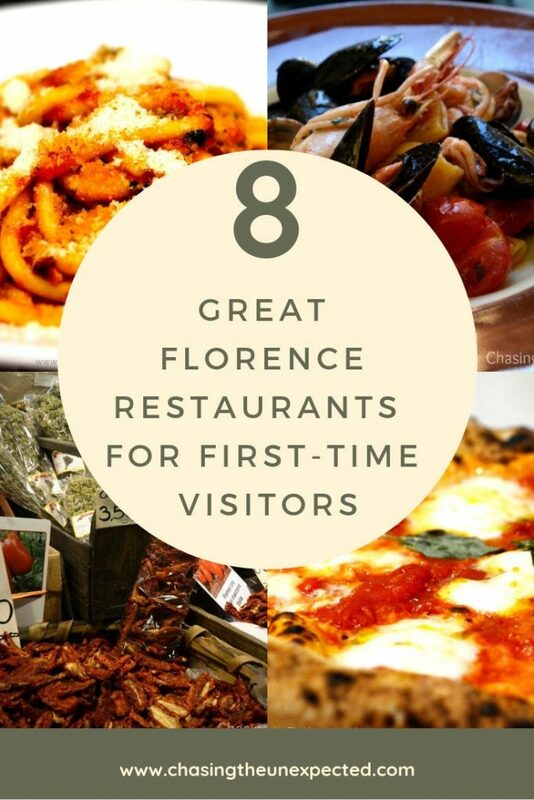 If you are looking for great Florence restaurants on your first trip, Da Tito is a safe bet. On the menu you will find a rich and mouthwatering selection of starters such as fried polenta with ragout sauce and mushrooms, artichokes with Grana cheese, and bruschetta. Among the first courses there are the traditional soups and pici pasta as well as tagliatelle with black cabbage and pine nuts pesto, or chilli seafood rice. The main courses, alongside the traditional ones, include also tripe Florentine-style, meatballs on a tomato sauce, wild boar stew, veal shank with peas. Open: Monday-Saturday 12-3 pm and 7-11 pm. Sunday closed. Google map address: Via San Gallo 112/r, 50129 Firenze. Here also the seafood is delicious, so at least once do try some fish restaurant. A lovely and not too expensive place is Burro & Acciughe located in Via dell’Orto. They serve exquisite first courses of pasta and rice and second courses such as fried anchovies with sage or tuna steak with green pepper-flavored olive oil, rosemary and baked potatoes. It’s located some 10 minutes walk from Ponte alla Carraia bridge. In this area, you can find also other nice and less “touristy” places than those right along the river. Phone: +39 055 045 7286; website: http://www.burroeacciughe.com/. This is not a restaurant but it was such as pleasant surprise that I just needed to mention and recommend it. We ended up in this cosy coffee shop on a cold December night. We were freezing and we ordered a warm tea. Both my husband and I are pretty tea-addicted and we totally fell in love with the tea they serve here. High-quality and well-balanced flavours, it really made us feel better for the rest of the evening. The cafe serves also different types of coffee, cappuccino and all the other drinks, plus light meals like sandwiches and a good selection of pasta dishes and salads. 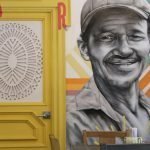 They also prepare a hearty breakfast with pastries, eggs or sandwich depending if you like it sweet or savoury and a beverage like orange juice and coffee or cappuccino. It’s perfect for a light lunch during your sightseeing in Florence. Open: Monday-Friday 6 am-9 pm, Saturday until 2.15 pm, Sunday closed. Google map address: Via Faenza 68R, Firenze.